Gina Gomez is a Business Coach, Certified Life Coach, the creator of the Ms.termind Mastermind™ program for female entrepreneurs and the host of a popular YouTube series called Five in Five: 5 Questions in 5 Minutes™. She has coached talent and professionals in the entertainment industry, corporate executives, small business owners, artists, teachers, high school and college students, parents, couples, and other life coaches. 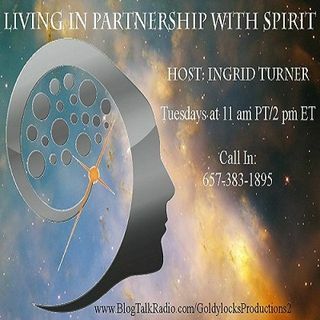 Tracy Principi is an Intuitive Success Coach helping spiritual entrepreneurs struggling with limiting beliefs and mindset get clear on their souls purpose so they can finally get unstuck and start or grow a business that they are passionate about. Tracy uses several healing modalities as well as information that was channeled directly from Spirit to help clients clear Ancestral Karma from past lives. She has helped clients shift their energy in a very short period of time for amazing results! She has also seen amazing things happen by using these techniques in her own life.